The highest-volume prescribers of opioids in New Hampshire are not doctors, but nurse practitioners and physician assistants who work at specialty pain clinics, according to Medicare and Medicaid data reviewed by the New Hampshire Union Leader. The data show that the top 25 prescribers of oxycodone HCL and Oxycontin wrote more than 22,500 prescriptions for the two drugs for Medicare and Medicaid patients in 2013. None of the top five had a doctor’s license. Four of the five worked at specialty pain clinics. And one — physician assistant Christopher Clough — was permanently banned from prescribing narcotics and working in the pain care field by the state Board of Medicine earlier this year. The data come from two sources. Data from Part D Medicare billings were obtained through ProPublica, a non-profit journalism website that has compiled publicly available data from the Center for Medicare and Medicaid Services. The New Hampshire Union Leader obtained digital Medicaid billing records from the New Hampshire Department of Health and Human Services. The most recent ProPublica data are for 2013, which is more than a year before the heroin and opioid abuse crisis rose to prominence in the Granite State. Of the top 25 prescribers, nine are physicians, 12 are nurse practitioners, four are physician assistants. New Hampshire law allows nurse practitioners to work independently and issue prescriptions without physician oversight; physician assistants must be overseen by a doctor. Kelly Doherty, a nurse practitioner of 15 years, issued more Medicare prescriptions for oxycodone HCL than anyone else in New Hampshire. Doherty, who now heads the palliative care program at Cornerstone VNA, said she was working in 2013 at Interventional Spine Medicine, a specialty pain clinic in Barrington. She said her job was to manage medications at the practice, a job that involves drug testing, calling patients randomly to count their pill supply, and other efforts to discourage abuse. She was not surprised at the findings. And she disputed contentions that prescription opioids are responsible for the heroin epidemic. “Even Tylenol can be addicting. Any pain medicine can cause addiction when used inappropriately,” she said. Many years ago when HMOs and the Affordable Care Act were embryonic some proposed end of life management by committee. In most cases the issue resolved around the costs of end of life and near death expense to the health finance system. Expensive life-extending treatments would require a review by a committee. In most cases, the treatment reviews would take place by administrators in health plans and/or government programs. Decimated California’s health care delivery system. Disrupted care and limited choice for millions of California patients. Caused 175,000 health care workers to lose their jobs. Caused a “brain drain” of talented medical students and residents fleeing California for more ideal working conditions. How Ebola got its name. “That part should really add another arm to the response. It's not the response by itself, because you still have to do all the rest,” Rollin said. Now, according to your score (which you can determine in the video in this article) if your total score is over five it is likely you are pre-diabetic. This educational program is available online. Discuss this with your physician. 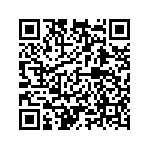 Their are courses on weight management, nutrition, exercise and others, all in the comfort of your home or workplace. If you own a smartphone, the possibilities are unlimited. It's back, and probably has never been gone. 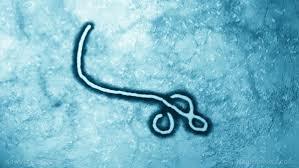 In the first real test of the new Ebola vaccine WHO is about to embark on a vaccination program in Africa, and the fate of our species may depend upon it's results. Does that sound a bit histrionic? The number of suspected, probable and confirmed cases is significant, so we are very concerned, and we are planning for all scenarios, including the worst-case scenario," Salama said. 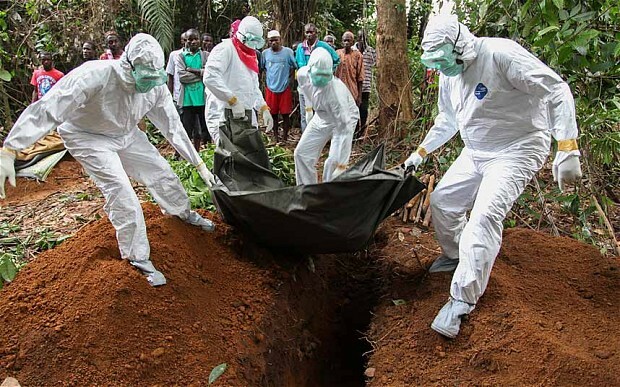 Ebola virus disease, which most commonly affects people and nonhuman primates such as monkeys, gorillas, and chimpanzees, is caused by one of five Ebola viruses. 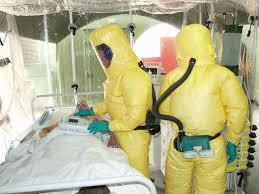 On average, about 50% of people who become ill with Ebola die. 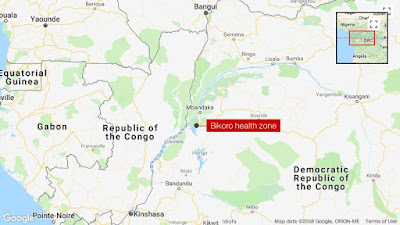 Bikoro health zone has a population of about 163,000, with three hospitals and 19 health centers, most with limited functionality, according to the WHO. Personal protective equipment, body bags, boxes for transportation and interagency emergency health kits will all be sent to the affected region Saturday, the WHO said. Two mobile laboratories will also be deployed. 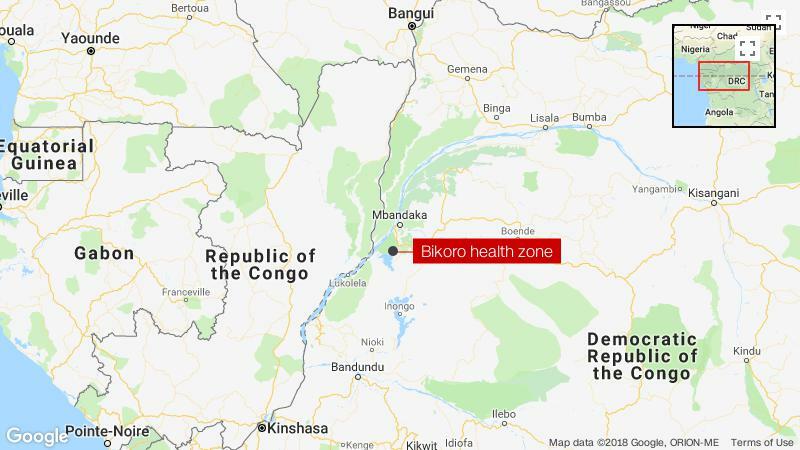 Médecins Sans Frontières is setting up four five-bed mobile isolation units to increase the hospital bed capacity in Bikoro, which is currently 15 beds, according to the WHO. Though I believed in God and the hereafter, I wasn’t ready to go. 74-years-old with beautiful children, grandchildren, and a great-granddaughter. I woke up confused. In the background — wherever I was — I could hear music: “How great thou art.” One of my favorites. I had a tube in my mouth, and I couldn’t talk. My wrists were restrained, and I couldn’t move. They had me tied down. Everything was blurry. My chest hurt like someone had pounded on it. People in white coats and scrubs surrounded me. I became aware that I was in a room with doctors and nurses and respiratory therapists. A man introduced himself. He said he was a respiratory therapist, and he was going to pull the “tube” out of my mouth. The endotracheal tube. I gasped and took a deep breath, and I could barely talk. The team explained to me that I was in the ICU. And because I wanted everything done to me, I had been emergently intubated, restrained, pain and sedation meds given through my veins continuously. My heart decided to stop, and “the team” did CPR on my fragile body. Because by now, I didn’t want to eat. I had lost over 25 pounds from the liver cancer. I was told that some of my ribs cracked during CPR. I had pneumonia. A palliative nurse came to talk to me within a few days. I wasn’t out of the jungle yet. The palliative nurse talked to me about comfort, about acceptance, about peace and being pain-free and being with my family and friends surrounding me. I was so sick, so tired, so much in pain. I led a wonderful life. Now, it was time for acceptance. I remember those words from my doctors: terminal, no cure, palliative chemo … extending your life. Was it worth staying in an ICU in a comatose state? Was it worth having your chest beaten on with CPR and cracked ribs and pneumonia set in? Was it worth being tied down? I was always stubborn. But maybe it was time for acceptance. Maybe the prayers being sent my way were meant for a peaceful death. A peaceful entrance into the heavens. I called my family in with my physician, my nurse, and the palliative care nurse. I begged my family to please not put me on a ventilator again. Please let me be comfortable. Please make me comfort care. DNR and do not intubate and do not treat. And their tiny voices uplifted me and my soul. This time — I was ready. Hospitals enjoy safe harbor regulations regarding purchasing supplies. It works against the patient. Doctors have long struggled to care for patients amid artificial shortages of, and soaring prices for, hundreds of drugs—notably generic sterile injectable products, including saline, epinephrine, chemotherapeutic agents, anesthetics, painkillers, antibiotics, even sterilized water. So when Amazon Business signaled last year that it planned to infuse competition into the marketplace for hospital supplies, clinicians were optimistic that scarce items would soon reappear. Wrong. Mighty Amazon has now backed away from the market. CNBC, which reported the news in April, attributed the decision partly to the barrier posed by hospitals’ tight relationships with group purchasing organizations, or GPOs. Amazon achieved its remarkable success by building a sophisticated e-commerce platform that promotes competition, transparency and low prices. In contrast, the GPO industry, which supplies doctors with hundreds of billions in medical products each year, rests on myriad conflicts of interest. The result is not only shortages but higher prices. Four giant GPOs—Vizient, Premier Inc., HealthTrust, and Intalere—control purchasing for most of the supplies used by thousands of hospitals, outpatient clinics and nursing homes. These buying cartels literally sell a market share, taking money from drugmakers and other vendors in exchange for exclusionary supply contracts. The paradox is that buying groups were promoted as a means to reduce cost for hospitals by ordering large amounts at reduced costs. It totally eliminates smaller suppliers. In turn, GPOs primarily use three big “authorized distributors”: McKesson, AmerisourceBergen and Cardinal Health. The supply chain is set up so that only authorized distributors, which pay fees to the GPOs, are entitled to manufacturers’ rebates for products covered by the contracts. Since smaller wholesalers can’t get the rebates, they’re effectively frozen out. GPOs didn’t always operate this way. The first was founded in 1910 when several New York City hospitals banded together to buy supplies in bulk. Members paid dues to cover administrative expenses. This nonprofit “co-op” model worked for decades. What perverted the system was a rule that began to allow cash to flow from manufacturers to the GPOs. In the mid-1980s, Congress gave GPOs a “safe harbor” by exempting them from the laws against taking kickbacks from suppliers. A 2010 report by the Senate Finance Committee found no independent empirical evidence that GPOs save hospitals money. In 2002, however, the Government Accountability Office studied purchases of safety needles and pacemakers in one metropolitan area and found hospitals that negotiated on their own often obtained lower prices. Our estimate, based on accumulated evidence including interviews with former GPO contracting officers, is that the current system may inflate costs by 30% or more. Still, most administrators are enculturated to the GPO system, and the web of rebates and fees helps keep it in place. Making matters worse, in 2003 the Department of Health and Human Services advised drug makers that the safe harbor would protect rebates paid to pharmacy benefit managers. This has created an upward spiral in the cost of drugs sold through these middlemen, as drugmakers compete for placement on PBM formularies by offering ever-larger rebates. Without Amazon, the best hope for ending this travesty remains congressional repeal of the safe harbor. If Washington is truly interested in lowering medical costs, here’s a straightforward idea: cancel the safe harbor and force the middlemen feeding at the health-care trough to compete on the merits. Mr. Zweig, a former Journal reporter, is executive director of Physicians Against Drug Shortages (PADS). Dr. Blum is an associate professor at the West Virginia University School of Medicine, a past president of the American College of Emergency Physicians, and a co-chair of PADS. Many of my readers may have not heard of "Patients like me " a web site for patients with chronic illnesses. Background: Launched in 2006 for patients with amyotrophic lateral sclerosis, PatientsLikeMe is an online community offering patient-reported outcomes, symptom tracking, and social features. Every member of the site can see all the data reported by every other member, view aggregated reports, identify “patients like them,” and learn about treatment options in order to live better with their condition. In previous studies, members reported benefits such as improved condition knowledge, increased medication adherence, and better management of side effects. However, the site evolved in 2011 from condition-specific “vertical” communities consisting only of people with the same disease to a “generalized platform,” in which every patient could connect with every other patient regardless of condition and with generic, rather than condition-specific, data tools. Some, but not all, communities received further custom tracking tools. Objective: We aimed to understand (1) whether members of PatientsLikeMe using the generalized platform still reported similar benefits and (2) assess factors associated with benefits, such as community customization, site use, and patient activation. Methods: A cross-sectional retrospective custom survey was fielded to 377,625 members between 2016 and 2017 including the Patient Activation Measure (PAM). A benefit index was developed for comparability across conditions. Results: The invitation was viewed by 26,048 members of whom 11,915 did not respond, 5091 opted out, 1591 provided partial data, and 17 were screened out. Complete responses were received from 7434 participants. Users perceived greatest benefit in understanding how their condition may affect them (4530/6770, 66.91% participants, excluding “does not apply” answers), understanding what might help them live better with their condition (4247/6750, 62.92%), which treatments were available (4143/6898, 60.06%), understanding treatment side effects (4182/6902, 60.59%), and important factors in making treatment decisions (3919/6813, 57.52%). The benefit index was 29% higher for the “most activated” patients (PAM level 4 vs PAM level 1; relative risk [RR]=1.29, P<.001), 21% higher for conditions with some community customization versus none (RR=1.21, P<.001), and 11% higher in those using the site most often versus least (RR=1.11, P<.001). Conclusions: Members of the generalized platform reported a range of benefits related to improved knowledge and understanding of their condition and treatment management. Condition-specific customization may improve their experience still further. Future studies will explore longitudinal changes to patient activation. Choosing Wisely will also contribute to controlling rising health expenditures by engaging patients, and making them aware of the conflict between expense and proper diagnosis and treatment. The issue of cost control thus far has been an upward-down plan. Choosing Wisely now will create a downward-up path, and enable patients to help control costs. The age of data analytics which has been empowered by health information technology has created an enormous mountain of health care, diagnoses, and treatment, making it possible to create treatments based upon risk and good outcomes along with the quality of care. Innovations that are compatible with norms and values of adopters are more likely to be successful. Choosing Wisely focuses on conversations between physicians and patients, the basis of clinical interactions. A concern in advancing campaigns is maintaining the focus on professionalism and ensuring physician autonomy in making decisions with patients. The concepts of diffusion of innovation are relevant to understanding the success to date of Choosing Wisely campaigns and to informing strategies that would ensure future viability. This Viewpoint uses diffusion of innovation science to explore factors that facilitated the spread of Choosing Wisely campaigns and how these enabling factors can address challenges in dissemination and implementation. There are various examples of movements to shift medical culture that had early momentum and resulted in significant changes but were met with major challenges around influence and outcomes. Nearly 2 decades ago, the quality and safety movement galvanized the medical community worldwide by identifying the extent to which preventable errors and lapses in safety were occurring. Although there are concerns about government motivations, to date Choosing Wisely campaigns have aligned diverse groups of stakeholders in medicine and health care systems (such as patient organizations, national clinician societies, and health administrators) on shared goals. Health care reform in the United States and elsewhere—emphasizing payment reform and shifting from volume to value—has made the campaign even more relevant. In other single-payer health care systems, budgetary pressures provide similar impetus. As organizations continue to react to such changes and shape strategy, Choosing Wisely offers an approach that could align physician, patient, and payer interests. In many countries, health system leaders and managers are partnering with physicians on implementation strategies of campaign recommendations. Although the evidence base for Choosing Wisely is still modest, there is a growing literature demonstrating reductions in utilization through implementation. For example, in Canada and the United States, pilot projects that include well-thought-out interventions to implement recommendations have returned good preliminary results.7 Ultimately, the key to sustained uptake of Choosing Wisely will be more systematic collection and diffusion of this kind of evidence at the system level.